With pumpkins aglow and cobwebs creeping across the UK, it must be time for Halloween. This year, we've put together our own selection of tricks and treats just for you. Take a look at our videos of cats doing clever tricks, or get set to make your own cat-friendly treats at home with our handy how-tos. While this cat has learnt how to high five! 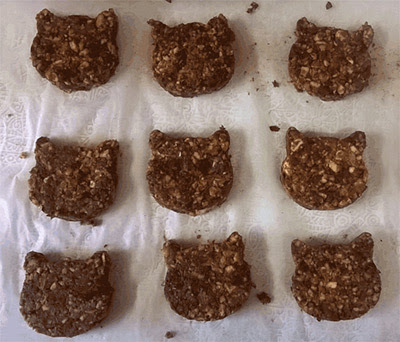 Why not watch our how-to video and make our homemade meaty cat food treats? Take a look at our cat-shaped biscuits - perfect for humans wanting a treat too! Click on the image for our recipe. Editorial note: Ensure any treats you give your cat are taken from their daily food allowance.